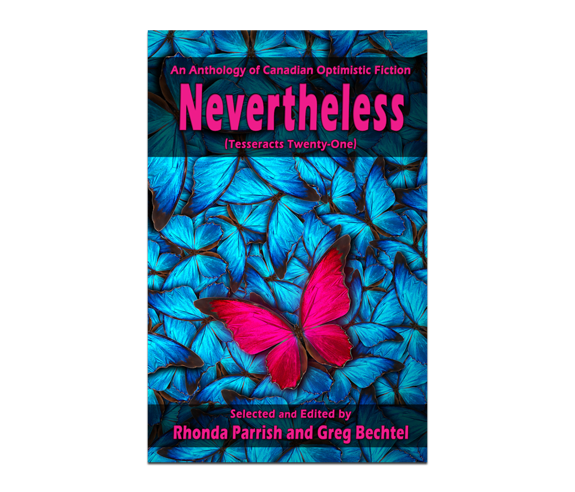 Nevertheless (Tesseracts Twenty-one) is a collection of optimistic speculative fiction stories by Canadian authors. This latest volume in the long-running Tesseracts series from Edge Science Fiction & Fantasy Publishing features the short story "Lt. Anderwicz Goes Applepicking" by Natalia Yanchak of The Dears. This copy is signed by Natalia at the end of her story on Page 156.